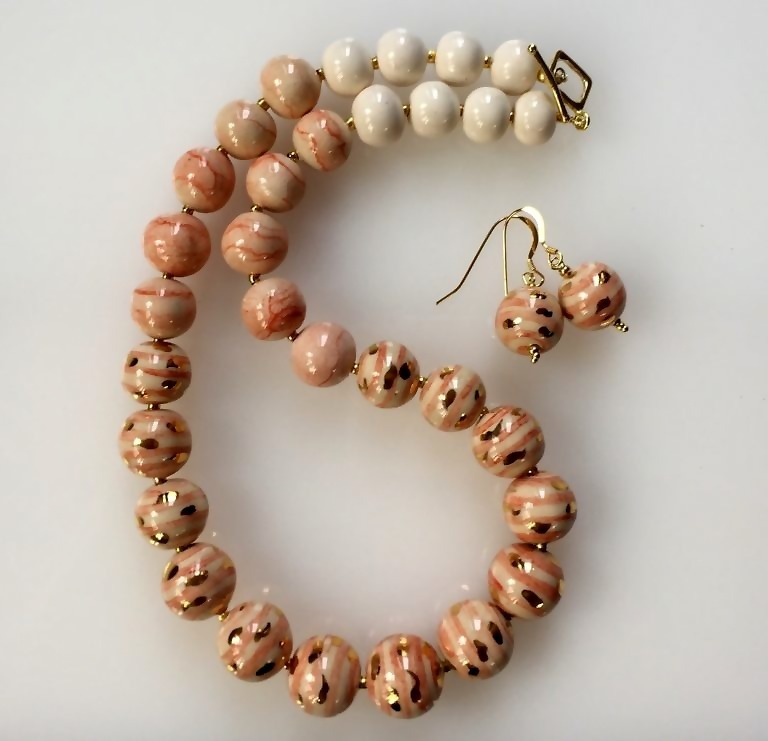 Handcrafted and kilnfired, coral, gold and cream bead necklace and earrings. Gold Vermaille clasp and ear wires. 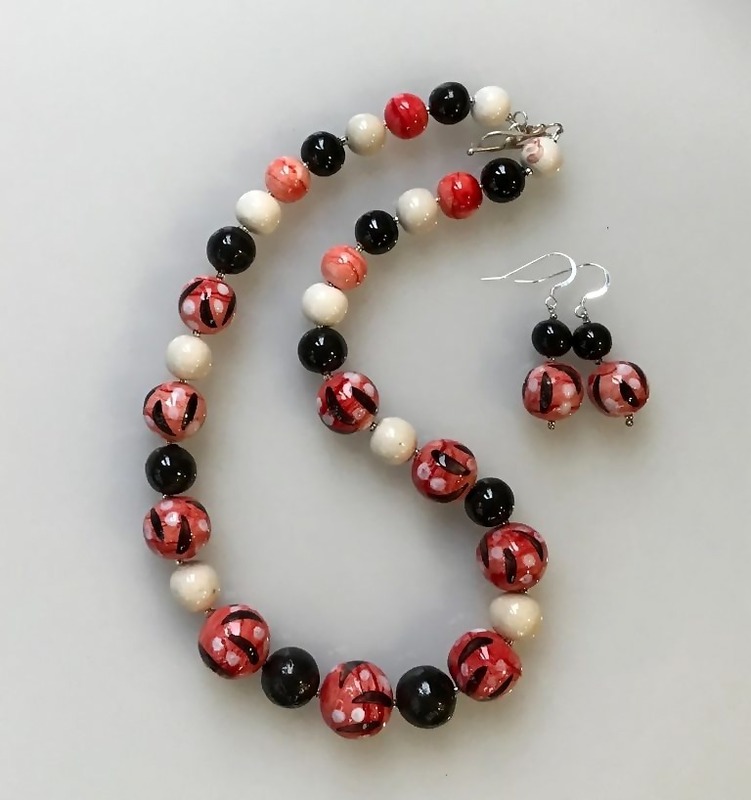 Handcrafted and kiln fires red dot and dash, charcoal and cream bead necklace and earrings. 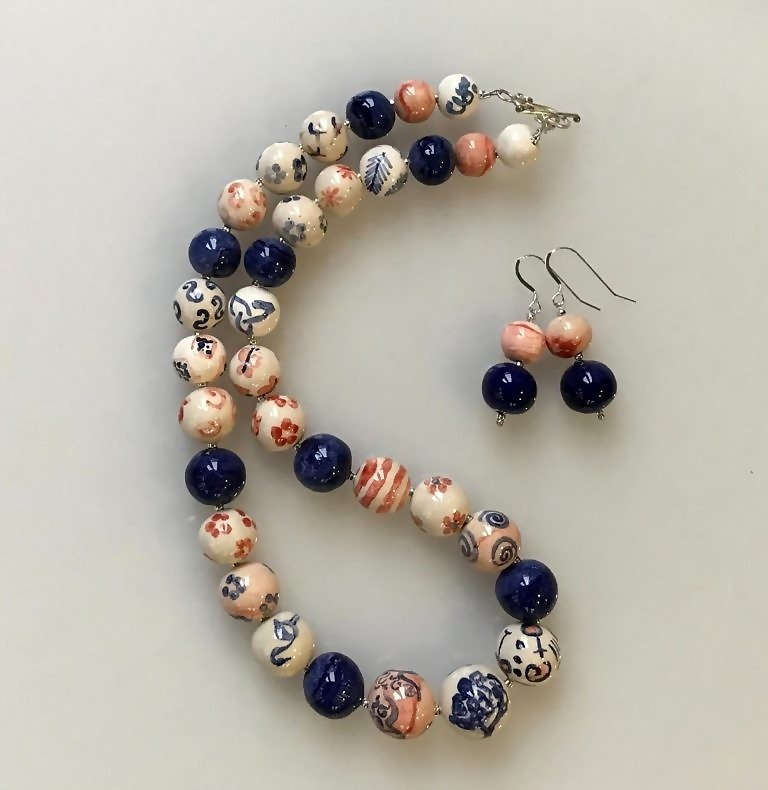 Sterling silver clas and ear wires. 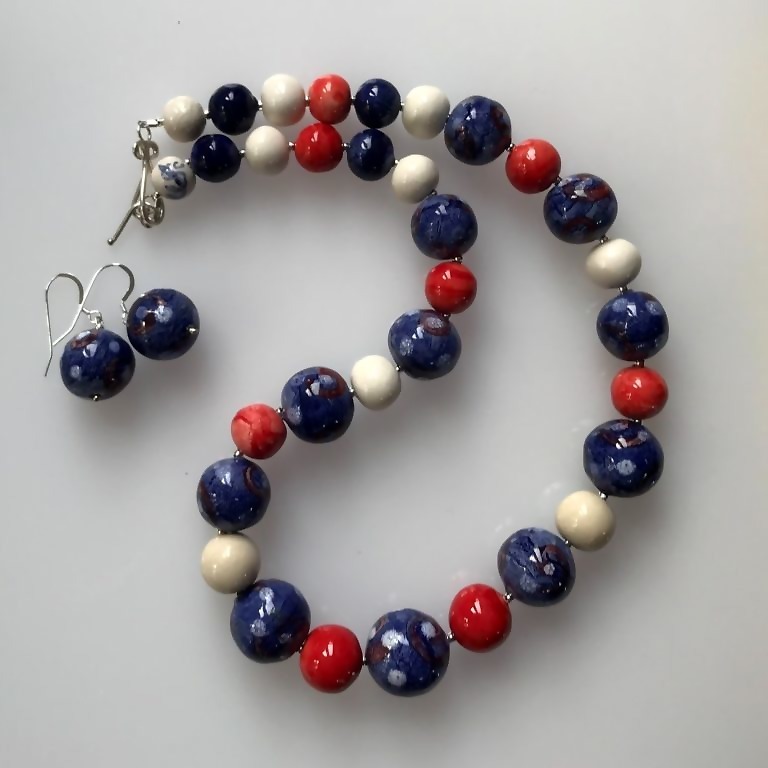 Handcrafted and fired fine ceramic bead necklace and earrings in mid blue, red and cream with red spiral detail on the large blue beads. Sterling silver clasp and ear wires. 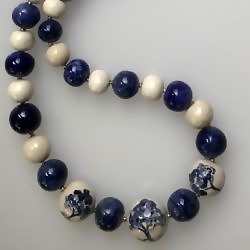 Handpainted patterns on coral and blue beads.